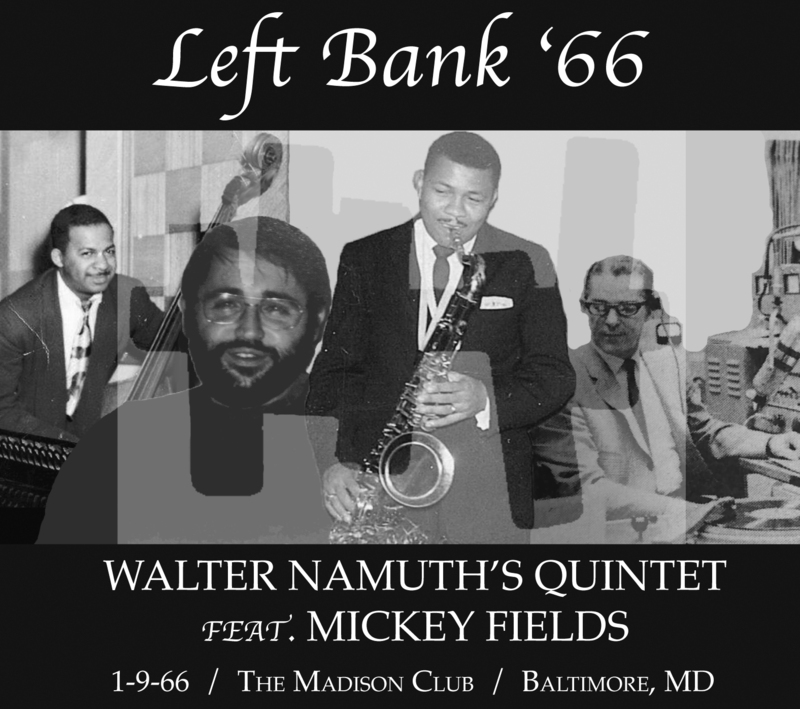 In 2014, the Baltimore Jazz Alliance released Left Bank 66, a remastering of a 1966 recording of a performance at Baltimore’s Madison Club by the Walter Namuth Quintet, featuring Baltimore saxophonist Mickey Fields (1933-1995). The recording was made by the Left Bank Jazz Society, the nonprofit group that from 1967 through 1985 ran the 5pm Sunday shows at The Famous Ballroom, which jazz critic Geoffrey Himes calls the greatest venue in jazz history. 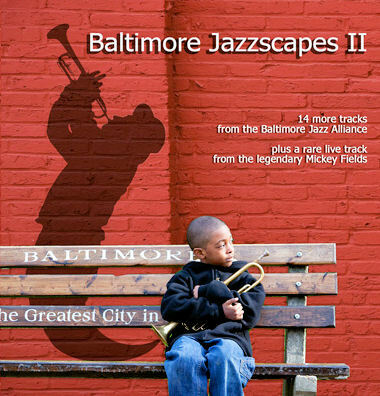 The album was produced by Eliot Carroom, a long-time friend of the Baltimore Jazz Alliance.Wilfred “Mickey” Fields was a local legend who refused to play outside the Baltimore area, although he was often invited to go on the road with many famous bands. Fields created the “Monday Night Jam Session” at the Sportsman’s Lounge, which allowed many young up and coming jazz musicians to perform onstage with him and he was known for his constant encouragement of young artists. Himes writes that he was “a small man with a giant tenor-sax sound whose live shows in the ’60s and ’70s are still talked about with head-shaking awe by those who heard them.” The recording also features guitarist Walter Namuth, who joined the Buddy Rich Big Band the following year.Six tracks include Sam Jones’s “Unit 7,” Monk’s “Well You Needn’t,” Miles Davis’s “Pfrancin” and “The Theme,” Benny Golson’s “Stablemates,” and Billy Reid’s “The Gypsy.” Phil Harris is on bass, Claude Hubbard on piano and Purnell Rice on drums. 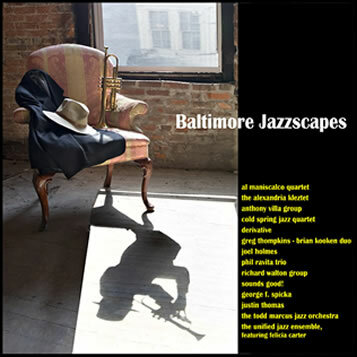 Total playing time = 67 minutes.Geoffrey Himes’ March 5, 2014 article in the Baltimore City Paper is titled, “Two New Albums Document Baltimore’s Storied Jazz History” [link]. 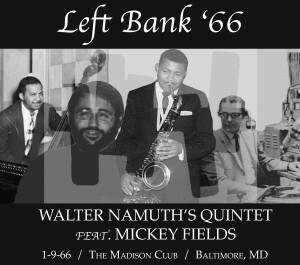 Newsletter article in December 2013 issue: BJA-Newsletter-December-2013 -Mickey Fields, Left Bank 66You may buy the CD directly from BJA. 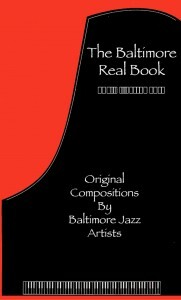 To purchase Left Bank ‘66, you may pay $15 via PayPal at baltimorejazz.com or write a check for $15 to BJA, 847 North Howard Street, Baltimore, MD 21201. Please make sure to type or print your street address. We will then send you the CD by U.S. mail. Or pick one up an upcoming BJA event. The album is also available on CD Baby and Amazon. Record & Tape Traders, All locations. 3. Buy from one of the leaders listed on the tracks above.